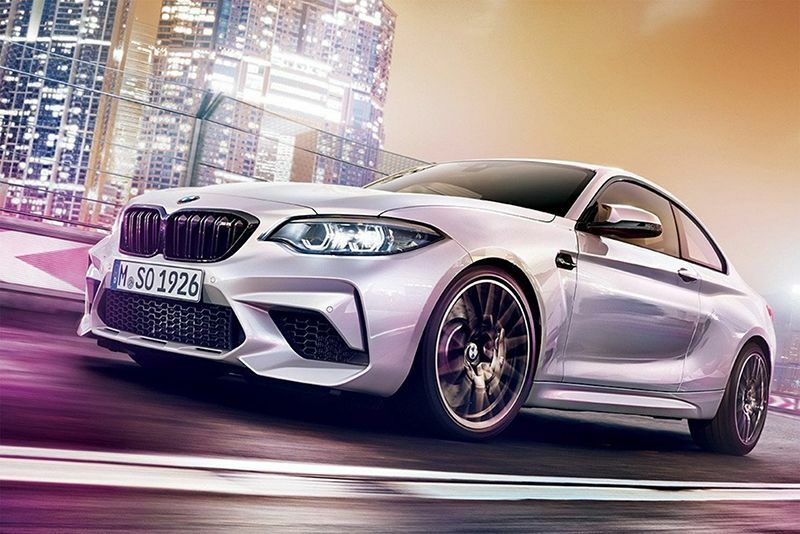 Rumours abound that the Beijing Motor Show later this month is where BMW has chosen to unveil their eagerly anticipated M2 Competition Pack – but, sorry for them as images have already leaked online. While there's not much to go on in terms of official specs, it's been suggested that the excellent 3.0-litre straight six currently doing duty in the M3 and M4 will crack the nod. The engine will most likely be de-tuned to offer around 405bhp rather than the 425bhp output of the M3. Torque will remain the same at 550Nm, which suggests a sprint from 0-62mph in 4.2 seconds – besting it's bigger M3 sibling in the process. Pouring through the images and you'll see subtle upgrades over the recently-facelifted M2's design that's on offer for buyers. These include new 19-inch multi-spoke wheels, a black kidney grille, adaptive LED headlamps and revised front bumper. At the back, it's even more subtle with revised rear light clusters the only obvious change. The interior pics show us a new red starter button, configurable drive mode buttons on the steering wheel and new seats with illuminated badging ala M4, too. For now, it remains unclear whether this is a replacement for the current M2 or if it sit's above it on the hierarchy ladder but we do know, even at what will no doubt be a costly premium, the BMW M2 Competition Pack will be a sought-after purchase for many prospective buyers.